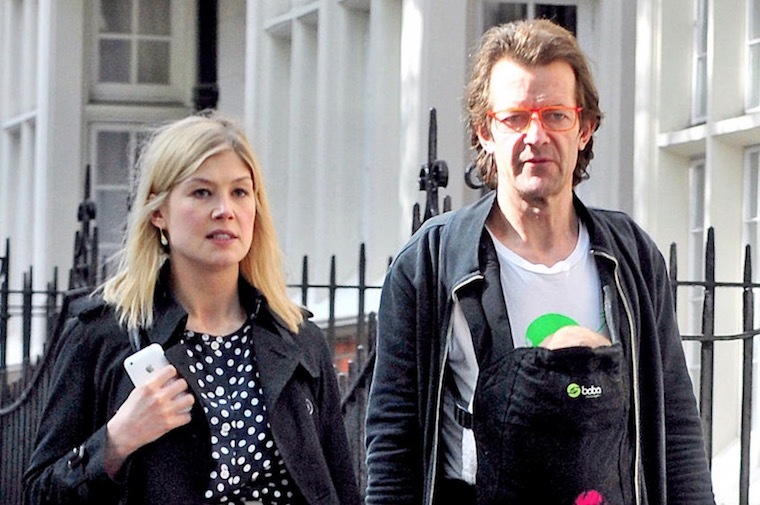 Rosamund Pike is in Relationship with Robie Uniacke; Are they Married? Children? One of the renowned British actresses is Rosamund Pike. Rosamund who revealed that she barely spoke to actor Christian Bale while shooting for their new film Hostiles, back in September 2017, is enjoying a romantic relationship with a twice-divorced man Robie Uniacke. Wondering how Rosamund Pike first met Robie Uniacke? Well, the 39-year-old A Rather English Marriage star Pike who was previously in a relationship with actor Simon Woods has been dating researcher and businessperson - Robie Uniacke since late 2009. It has not revealed what specific company Robie works for, but as Rosamund told The Telegraph in September 2014, he works as a "mathematical researcher" in his company. In the interview, Rosamund gave Robie credit for helping her bring focus to her acting career. Though the media often describes Robie as "mysterious and elusive," it's undoubtedly a good thing that a man left his dark past behind to support the loved one to achieve her goals. In an article, her boyfriend was described as a "reformed drug addict-turned-businessman." The couple isn't married yet, but the couple is already parents to two children together. Both of their kids are sons and their second son Atom Uniacke (born on 2 December 2014) is two years younger than his brother Solo Uniacke (born in 2012). The perfect family is living happily together. We wish all of them all the very best for their future, and we are eagerly waiting for Rosamund and Robie's wedding bells!! As per the report, Robie Uniacke was previously married to the daughter of the late Earl of Carlisle, Emma Howard in 1983. After five full years of their marriage, the pair reportedly ended their marital relationship unhappily with a divorce in 1988. Robie and Emma both had checked into rehabilitation clinics to work on their respective addictions. After his divorce with Emma, Robie went on to date with an interior designer (name not mentioned) with whom he eventually married, but unfortunately, this marriage too did not last for long. Robie has four other children from his two marriages among which two are daughters named Olive and Florence, and the other two are sons namely Robie Jonjo and Hector. Meanwhile, Robie's now partner Rosamund Pike previously had an affair with an American film director Joe Wright. After parting from the respective partners, Robie and Rosamund are together for eight years now and are currently enjoying their time together. For more updates, stay tuned with Frostsnow. Is Romeo Beckham giving up on football? Know his Interests, Hobbies, and Dating History!